As a lifelong procrastinator, this is a subject I understand intimately. In fact, I did a fair amount of procrastinating before writing this newsletter. 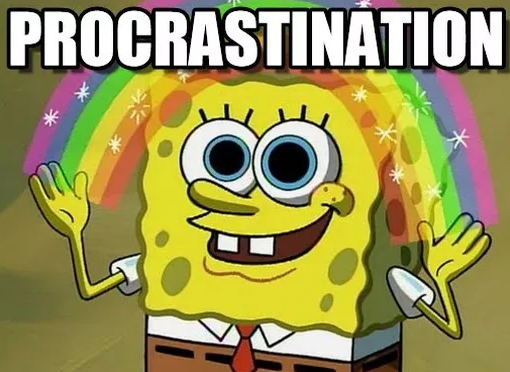 Luckily, my procrastination did not have any consequences. But we have all watched students put off a huge project until the very last minute, devolve into panic and frustration, and either stay up all night to get the project done or turn in nothing/something half-done. Here are a few tips from people who have studied procrastination that I gleaned from this excellent Washington Post article. 2. Push through negative feelings. Students are not always going to be excited about a task. Learning how to start anyway is a huge life skill. This gets easier over time and will help when they are older and it’s time to do things that are unpleasant like calling the health insurance company (something I tend to procrastinate). 3. This leads us to breaking tasks into tiny steps. This one is vital. At first, it might seem silly, but making the steps as small as possible helps. As the student completes each step he feels more and more successful and by the end, the project is done. 9. Using the outline, write the first paragraph. These steps could even be broken down into writing a couple sentences at a time. The student can take a break between each task and check them off as she goes along. At the beginning, parent support around creating the list of steps and holding the student accountable as well as celebrating the accomplishment of each step is important. Teachers and tutors can help in that arena as well. Learning that projects take time and must go step by step is an invaluable life lesson that they can apply widely in their lives.